Octopus Syng is an obscure Finnish band formed in 1999 that is now gaining international exposure through the efforts of Fruits de Mer (appearing on the Keep off the Grass compilation in 2011 and The Regal Crabomophone 2014 Annual released last December) and now Mega Dodo. The band’s new album, Reverberating Garden Number 7, is their third full-length album. Their other two Beyond the Karmadelic Coldness (2004) and Birds of Morning Are Never Late (2007) were released on the German label Nasoni Records. Not a very prolific band, but one that has carefully handcrafted their music, much like a fine beer. I have no earthly clue as to the meaning of the album title, but it contains a vivid collection of earthly delights full of quirky songs reverberating with sunshine and also a dark and sinister element. The eleven songs are like a warm and soothing blanket. Guitarist and vocalist Jaire Pätari and band mates Antti (bass), Joni (backing vocals and guitar), and Jukka (drums) have gone back 40 years to mine both US and UK psych music and glue the various elements of acoustic psych pop, acid-folk, and hypnotic Krautrock grooves into a unique blend of pop psych and gothic psych. It is hard to pinpoint specific musical references, but there is some sense of the Amboy Dukes on a couple of songs, and “Diamonds and Emeralds” has a strong connection to The Doors’ “Wintertime Love.” The tenth track, which is the only instrumental on the disc, is a dissonant eerie tune with eastern influences that could have worked as background music for the original Star Trek TV series. The final song “Listen to the Moths” is the longest track on the disc, nine minutes, and probably the most diverse. It begins as a twilight acid-folk tune that after about three minutes takes you on flight of phantasy to the realm of faerie, where they leave you in a dreamlike state with subliminal voices. The song ends with an ebb and flow of sounds and effects akin to slow breathing. 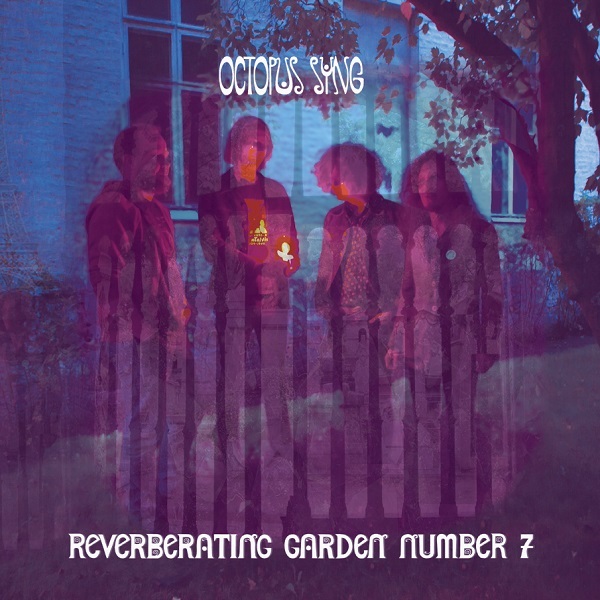 Reverberating Garden Number 7 is one of 2014's best releases and I highly recommend that you check it out.